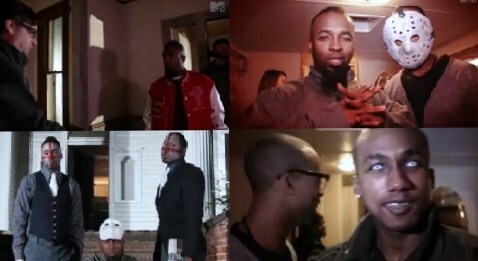 When Tech N9ne, B.o.B, and Hopsin let loose for the “Am I A Psycho?” video shoot this past winter, MTV2 cameras were on set to capture all of the insanity. In this exclusive brand new behind the scenes footage, cameras follow Tech N9ne and director Dan Gedman of Liquid 9 as they explain just how the video came to be. B.o.B also speaks on his role in both the song and music video, revealing that he never thought the song would “see the light of day”. Watch as MTV2 Sucker Free follows all of the happenings on the set of the latest Tech N9ne music video.